The Staff of Life… or the Stuff of Death? Today I am going to touch the “third rail” of human nutrition… Grains! When it comes to nutrition, whole grains are the third rail. Most people now understand that refined grains are not good for us. But there is still a very vocal majority who stand ready to defend whole grains from the slightest insult. Whether it is the result of pervasive marketing or industry-influenced government propaganda, the result is the same. An entire generation has been led to believe that whole grain foods are not only nutritionally sound, they are vital to health. The truth is that whole grains are not a health food. They are not essential in the diet. And in fact, they are mildly poisonous. It is true that whole grain foods provide nutrients, such as vitamins B1 and B2, iron, potassium, zinc and magnesium. But so does a diet that is rich in naturally-raised meats, organic vegetables and nuts. And the latter doesn’t require you to eat a hefty serving of blood-sugar boosting carbohydrates. The study’s authors say this is a good thing, because it releases mucous and helps to lubricate the gastrointestinal tract. Other experts believe this damage is… well, damaging. I won’t delve into the myths of fiber in this essay. But if you want to learn more, check out the website GutSense.org. In any case, you can get all the fiber you need from a nutrient-rich diet of vegetables, fruits and nuts. As I highlighted in this post, whole grain foods like cereal, bread and pasta generally cause a bigger rise in blood sugar than sweet-tasting desserts and fruits. Chronically high blood sugar and insulin levels are one of the cornerstones of degenerative disease. All animals produce insulin to some degree. Those that produce less insulin live longer than those that produce a lot. Not to mention that high insulin levels cause your body to store fat and prevent fat from being burned for energy. The surest way to burn fat and improve your health is to consume a low-glycemic diet. And that means to reduce your consumption of carbohydrates that are rapidly converted to glucose. That includes whole grains. But what about whole grains being toxic? You are probably well aware of macronutrients (fats, protein and carbohydrates). And you know about micronutrients (minerals, vitamins, antioxidants and phytochemicals). But few people are aware of anti-nutrients. Anti-nutrients are plant compounds that serve as a self-defense mechanism. They are naturally selected to ward off pests, whether those pests are insects, animals or humans. In some cases, these compounds can be acutely toxic. In other cases, they can cause problems with digestion and elimination. They can cause allergic and auto-immune reactions. And they can actually cause nutritional deficiencies. The highest levels of anti-nutrients in the human diet are found in grains, beans and potatoes. These are foods that our genetic Paleolithic ancestors did not consume. In fact, they are harmful (and can even be toxic) to consume without cooking, soaking, fermenting or processing them. And even though these foods are usually prepared this way in the modern diet, the level of anti-nutrients we still consume is surprisingly high. Many experts believe this is to blame for the growing number of people with food intolerances, gastrointestinal disorders and auto-immune illness. Some animals – including birds, rodents and various insects – have genetically adapted to consume these foods without problems. Humans, however, have not. The purpose of anti-nutrients is to ward off pests. Perhaps we should take the hint. Jon Herring is the Editorial Director for Total Health Breakthroughs and author of the bestselling book, Your Best Health Under the Sun, with Dr. Al Sears. He is also a consultant to several health information publishing companies. Jon’s philosophy about health is quite simple. He believes it is a mistake to look for the answers to our health crisis in scientific breakthroughs. True health will not be found in a pill or potion. And it will not come from stem cells or the latest genetic discovery. Instead of looking to the future, we should look to the past – our ancient past! The human race comes with an evolutionary blueprint, developed over millions of years and handed down to us by our paleolithic ancestors. When you follow this blueprint – by eating the foods to which you are genetically adapted and avoiding those to which you are not – your body will rapidly return to its natural state of health. Without hardly any effort, you will become lean and strong and build a biological fortress against disease. Jon’s articles and reports focus on how we can match the diet and activities of our biological ancestors to achieve true and lasting health. He also uses his platform to shine a light on the deceptive marketing of dangerous drugs. He exposes the hidden agendas of captured regulatory agencies. And he frequently refutes a wide range of disinformation, half-truths and blatantly false nutritional myths. Jon’s mission is to empower you to take responsibility for your own health… with the ultimate goal to achieve a healthspan equal to your lifespan. Yes. Well said. Grains are the most important food to remove on one’s way to a paleo diet. I used to avoid whole wheat as Dr. Mercola suggest; however, Dr. Esselstyn sugggest up to four slices per day and I have begun to take two pieces of whole multi-grain toast in the morning as par of my new vegan diet. 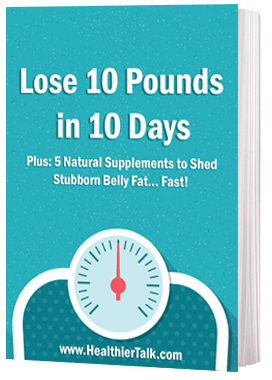 I am diabetic and I have not had a blood sugar spike, and I have been losing 2.5 pounds per week and better bowel movements since following Dr. Esselstyn’s recommendations. Dr. Campbell/Esselstyn disagree with Dr. Mercola as do I, in this matter. Thanks Jon for the article. I have been doing a high fat diet adapted from Jan Kwasniewski – Homo Optimus and Atkins for about 2 years now and with weight loss and no more signs of depression and an added bonus of looking pretty young for my age! I am very happy…I have been wondering about how come my digestion is working so well without ‘fibre’ from grains and the like. I eat nuts meat, eggs and vegetables and don’t veer much from the diet. Some people tell me that they can’t tolerate fat, and couldn’t do what I am doing. Is this really true that some people really not tolerate fat or is it just an underlying brainwashing that makes people think it’s bad for them? I just read the book Going Against the Grain by Melissa Diane Smith and am reading Vegetarian Myth by Lierre Keith – these books are really helping me to feel confident about what I am doing and promoting, despite the bombardment from the outside of conflicting information of Doctors, media and friends.. I seem to have developed a lot of very serious food sensitivities in recent years, and I’m trying start an elimination diet to determine the right and wrong foods for me. I’m learning some surprising things, mostly pointing to problems with processed carbs and perhaps gluten. Thanks for the information.